A file photo of Dustin Hoffman on Nov. 27, 2017 in New York. Three women spoke to NBC News, accusing the actor of inappropriate sexual behavior. 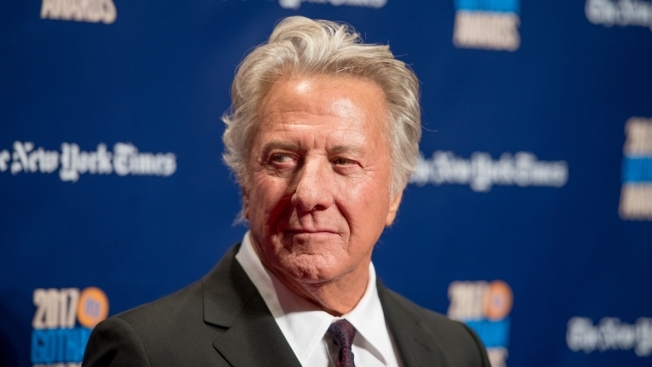 Three women who accuse Dustin Hoffman of inappropriate sexual behavior recounted to NBC News being starstruck when they met the celebrated actor — and then stunned by Hoffman's advances toward them. Two were underage when the alleged sexual misconduct happened. The third says she was subject to night after night of inappropriate touching during months on Broadway with him. "It eroded my self-confidence and my dignity," Kathryn Rossetter, who co-starred with Hoffman in the Broadway production of "Death of a Salesman" and the subsequent TV movie version of the screenplay, told NBC News on Monday. "It was humiliating and demeaning ... he robbed me of the joy of that experience." Rossetter is one of several women who recently came forward with decades-old allegations against Hoffman.